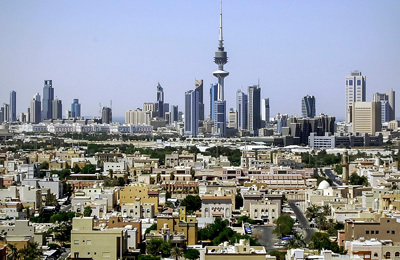 The total real estate sales in Kuwait reached KD2.1 billion ($6.9 billion) for the first eight months of the year, down 23 per cent from the same period last year, according to a report. The sales continued to be slow in the real estate sector, while prices seemed to be holding up relatively well so far, notwithstanding pockets of softness, said the National Bank of Kuwait’s economic update. Following a strong run in 2010-2014, the low oil price environment and the geopolitical tensions in the region finally dampened real estate market activity. For the month of August, activity slowed across the residential and investment sector year-on-year (YOY) but was relatively stronger in the commercial sector, it said. To date, total residential sales this year reached KD983 million, and were KD81 million in August. The volumes and number of units sold year-to-date (YTD) were both down 22 per cent compared to the same period last year. The prices were up slightly for land following a correction in recent months, and about unchanged YOY for homes. Between 2008 and 2014, vacant plots were the properties of choice for buyers. However, a change in the trend has been seen this year, as more residential homes are getting sold than land plots. In terms of square footage, there is a preference for homes ranging between 300-400 sq m and plots of 400-500 sq m.
The sustained low oil price environment has taken its toll on the investment sector so far (primarily apartment buildings). There, total sales reached KD893 million YTD, a 27 per cent decline from the same period last year. A visible shift was seen from investment buildings and vacant plots toward investment apartments that are relatively small-ticket purchases but still with a somewhat higher return than the stock market or bank deposits. On the other hand, commercial sector sales activity also slowed though less severely. The sales volumes were down 14 per cent to KD251 million YTD. In August, the sector recorded eight transactions with the highest being for one complex in Farwaniya and another showroom in Dajij worth KD5 million each. The real estate prices have actually weathered the low oil price environment relatively well thus far this year. This is also reflected in NBK’s newly developed real estate price indices - the real estate residential-home index; the real estate residential-land index; and the real estate investment-building index. All three indices exhibited a positive upward trend since 2005, with a downturn along the timing of the 2008 financial crisis. The real estate indices all rallied strongly between 2009 and 2014, with prices almost doubling during the period. The price growth was strongest for residential land and ‘investment’ buildings. The rally was supported by a recovering economy and a sustained period of high oil prices, above $100/bbl. Record low interest rates and a lackluster equity market further directed liquidity to the real estate market. In fact, as soon as oil prices hit the $100/bbl back in 2011, the Kuwaiti real estate sector witnessed double digit growth for two consecutive years. More recently, real estate price indices appear to have cooled off in Kuwait following the five-year rally that started in 2009. The frothy market (like in other GCC markets) began showing signs of cooling off towards the second half of last year, not coincidentally after international oil prices tumbled by over 50 per cent. The prices of residential land were the first to correct around December, somewhat at odds with the conventional wisdom that residential land properties are less volatile than investment properties. The focus was on properties generating income it would seem. The residential home prices have cooled off from last year’s highs, showing a mild correction thus far this year. In August, the NBK residential-home index stood at 176 points, 1.5 per cent lower YOY. The index’s annual growth is still oscillating between positive and negative territory, signaling some resistance from prices. On the other hand, the NBK residential-land index went into a correction during the first five months of the year and appears now to be stabilising. At one point earlier in the year, the residential-land index was down over 10 per cent on YOY basis; it now seems to be stabilising as the index logged a four per cent YOY increase in August. Prices in the investment building sector held up better, with growth slowing but remaining in positive territory.